Anthony Robinson advises companies in the conventional food, dietary supplement, and cosmetic industries regarding regulatory, corporate, and intellectual property matters. With a focus on international trade, Anthony advises clients on the regulatory requirements and strategic corporate considerations that affect the importation, exportation, and distribution of consumer packaged goods, including expansion into Latin America through the Republic of Panama. Anthony is a dual citizen of the Republic of Panama and the USA, and has wide-ranging experience supporting companies doing business in Central and South America. 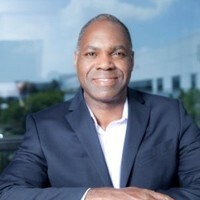 Prior to joining Greenberg Traurig, Anthony earned his MBA from the Darden Graduate School of Business Administration in 2002, and then worked as a corporate finance and investment banker for Bank of America Securities LLC (Debt Capital Markets/Syndications) and Wachovia Securities (coverage banking in the areas of Equity Capital Markets, Leverage Finance, and M&A). Anthony was on the Wachovia team that executed the IPO of Ruth’s Chris Steakhouse in August 2005. With IPO proceeds of $235 million, the Ruth’s Chris Steak House IPO was the richest IPO from a restaurant firm at that time since the IPO of Domino’s Pizza in July 2004. Most recently, Mr. Robinson gained wide-ranging experience as in-house counsel managing the primary areas of legal risk for companies in the health and wellness industries, including litigation, regulatory compliance, intellectual property, and contracts.